In contrast to upper-body shift, the second method for getting the center of gravity over the standing leg relies on laterally shifting the lower center of gravity, the pelvis, over the standing leg. For the purposes of our conversation, we’ll refer to this lateral translation of the entire pelvis as hip shift. The overstated archetype of this pattern is Marilyn Monroe, sashaying down the catwalk (Fig. 4). 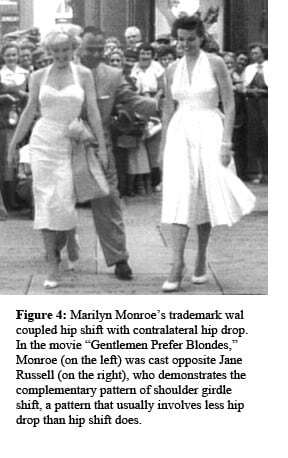 According to my distinguished colleague Erik Dalton, Marilyn Monroe’s signature hip sway was apparently something she worked at. Dalton shared a story with me that he heard from the “Rat Pack’s” Peter Lawford: In order to get more of a “Mae West”, Monroe had an inch cut off one heel to make her hip on that side shift even more laterally. Once that hip had loosened up some, she switched the shorter heel to the other side. She continued to swap the SHORT heel from one side to the other, until she’d developed the mobility required for her larger-than-life hip shift. If Monroe had lived longer, this –exaggerated pattern may have come with unintended consequences. Presumably due to their generally wider pelvic structure, women are already prone to genu valgum and other knee issues, as well as piriformis syndrome, which is six times more frequent in women than men.1 Exaggerated lateral hip movement could exacerbate these tendencies. Men have their own problems, of course, and at least a few of these may be related to the tight-hipped John Wayne swagger, which indicates restricted hip abductors and limited lumbar mobility. Lumbar disk issues are twice as common in men as women. Inguinal hernias, conceivably related to compression and lack of adaptability in the visceral space, are seven times as likely in men.3 Men are also more prone to sacroiliac joint degeneration than women. It appears that an exaggerated pattern of shifting primarily with the shoulders also takes a toll on the body. As mentioned, leg amputees often use shoulder shift in lieu of hip shift. According to gait expert, prosthetic engineer, and MIT professor Hugh Herr, 70 percent of amputees have hip and back problems. Wasted or ineffective strokes take precious time from the areas that need additional, slow care and can spell the difference between work that feels good at the time but doesn’t leave lasting benefits or a session that brings significant change. Some hip shift with hip flexion is desirable – without it, the pelvis/lumbar complex can’t adapt to the changing demands of walking, balance, and weight bearing, which can put strain on the lumbars and hip joints. In my manual therapy practice, I assess hip shift whenever a client complains of hip, lumbar, sciatic, or sacroiliac pain, and in the context of working with larger gait or balance issues. To assess hip shift, ask your standing client to lift one knee high. If balance is difficult, have your client face a wall so that he or she can reach forward for balance. 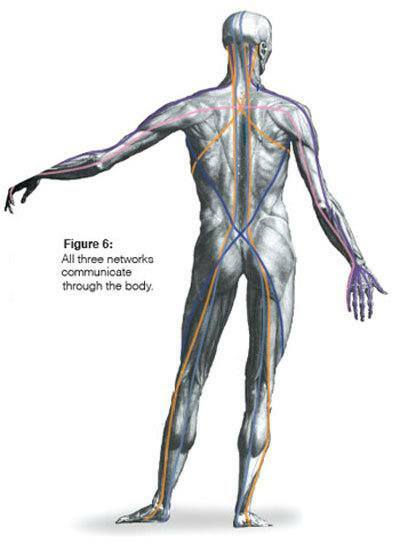 If the wall is to the side, he or she will reach sideways, which will affect hip shift and obscure your results. When your client lifts the knee, ask yourself: Does the pelvic girdle shift laterally over the standing leg, or does only the shoulder girdle shift, causing the torso to lean? You’ll likely observe other movements and compensations, such as rotation and tilt of the entire pelvis, but for the purposes of this discussion, we’ll focus primarily on lateral translation of the entire pelvis, or hip shift. Compare what happens when the left and right knees are lifted. The shoulders will typically shift farther to the side of the more restricted hip abductors; so, if there is a marked shoulder girdle shift without hip shift, work the hip abductors and the lateral line on that same side of the body, and then re-test. For example, if you see shoulders that shift more to the right than the hips do, we’d expect to find tighter abductors on the right, as hip shift involves eccentrically lengthening the same-side abductors. 1. The abductors on the supporting side almost certainly don’t release when weight shifts. 2. 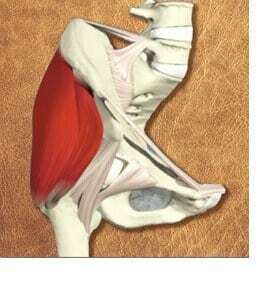 The sacrum could be fixed in sidebending away from the supporting side. To rule out the first possibility, non-releasing abductors, work with your client in am side-lying position, using gentle pressure into the abductors with your forearm or soft fist. Ask for active participation, first using active hip and knee flexion and extension, then active hip abduction and adduction. Your goal is to increase the ability of the lateral hip structures to eccentrically lengthen.